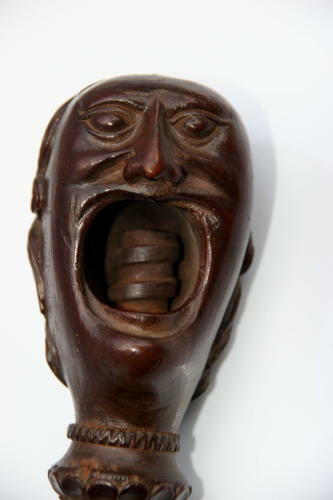 Very finely carved and patinated carved wooden figural Nutcracker, of a man's head and a handle in the form of a fish. early 19th century possibly late 18th. english or european.